NEXC is committed to our customers, our passengers, and our employees. National Express LLC (NELLC) is the North American subsidiary of National Express Group, PLC, one of the premier transportation firms in the United Kingdom. We provide customer focused transportation services, including charter bus trips, bus shuttles and logistics planning for events of any size across the United States and Canada. Event planners and organizations across North America partner with NELLC to experience best in class customer service, cost efficiencies and safety. National Express LLC (NELLC) is the North American subsidiary of National Express Group, PLC, one of the premier transportation firms in the United Kingdom. NELLC is comprised of Durham School Services, Petermann, Matthews Bus, National Express Transit, Trans Express, Septran, Smith Bus Service, White Plains Bus Co., Suburban Paratransit Service, Trinity Transportation Group, Transit Express, New Dawn Transit, Cook DuPage Transportation, Queen City Transportation, Monroe School Transportation, Quality Bus Service, Aristocrat Limousine, A&S Transportation, A1A Transportation and Ecolane in the United States, as well as Stock Transportation in Canada. We operate across 35 states and three provinces. All organizations share a strong commitment to provide the highest level of transportation safety, quality transportation, outstanding customer service and positive employee relations. National Express School (NEXS) operates more than 22,500 school buses, serves more than 600 school districts in 30 states and three provinces, and transports more than 1.2 million students on a daily basis. National Express Transit (NEXT) operations transport more than 20 million passengers annually with more than 3,000 vehicles. NELLC’s corporate headquarters, located in Lisle, Illinois, houses the administrative and corporate support functions for the organization. Our 250+ local customer service centers (CSCs) are supported by regional operations teams located throughout North America. We are strongly committed to providing quality bus transportation, outstanding customer service, positive employee relations and the highest level of safety possible. 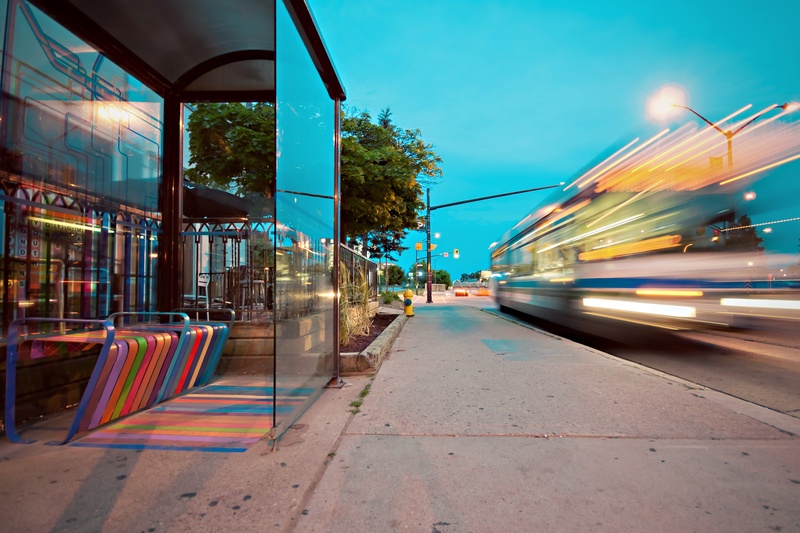 As a North American company, we have a wealth of resources available to our customers, and continue to offer a level of local support that is unmatched by other bus companies. For information on charter bus transportation in Canada, please contact our affiliate company Stock Transportation at www.stocktransportation.com. Or, for more information on our parent company, contact NELLC at www.nellc.com. The U.S. federal government recognizes that yellow school buses are the safest mode of surface transportation, outranking passenger vehicles by more than eight to one in the number of fatalities. National Express Charter (NEXC) employs a “safety first” culture. All employees strive to identify the safest way to operate, approaching safety from a holistic point of view, from the passengers to the workplace. Employee training programs stress our commitment to safety. Our pledge of safety resonates throughout the organization, from our drivers to the board room. As part of normal operations, Durham conducts an exhaustive employee background screening process, extensive driver safety training, and continuous school bus safety training. We also have daily bus safety inspections. Because we also provide student transportation, our drivers go through a selection and training process much more rigorous than that of other bus companies. You will find our drivers are the most professional, courteous and responsible in the bus transportation services industry.